Harlan mentioned this book so I read it. It came out back in 2008 and was a lot more timely then, I imagine. ... large social systems cannot be understood as a simple aggregation of the behaviors of some nonexistent "average" user. ... it's easier to like people who are odd in the same ways you are odd, but it's harder to find them. ... trying something is often cheaper than making a formal decision about whether to try it. ... the question "Do the people who like it take care of each other?" turns out to be a better predictor of success than "What's the business model?" 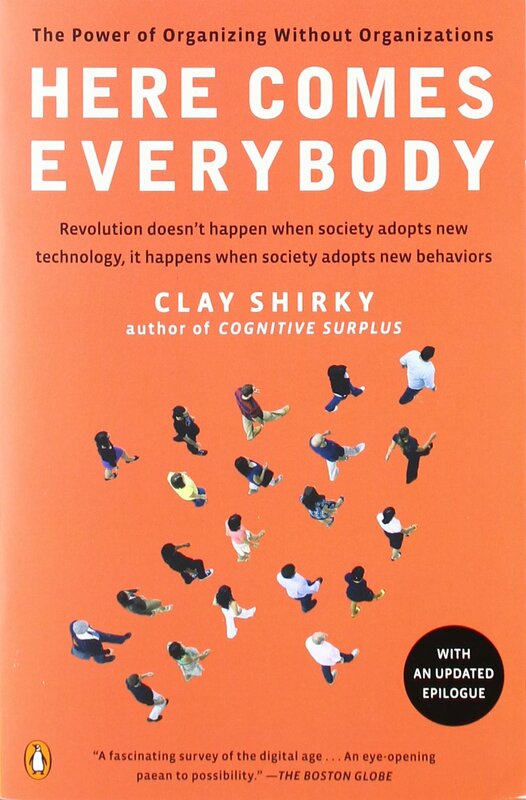 Shirky also brings up the Bill Joy quote, "No matter who you are, most of the smart people work for someone else." This made me wonder whether Google agrees, these days. I like reciprocal altruism a lot: "With reciprocal altruism, favors are exchanged without formal bookkeeping ..." (emphasis mine). This is my preferred way of doing things. The problem seems to be the number of people and anonymity online, and so there are systems with formal bookkeeping like eBay's buyer/seller rating system, or points on StackOverflow. Is this the direction that everything is moving in? If we end up with zero privacy/anonymity online, will that solve the problem of freeloaders and other bad behavior? Things I hadn't previously heard of: asmallworld (gross), Dodgeball (people are still doing this stuff). Also Richard Gabriel's Worse Is Better talk (increasingly it seems LISP people have all the ideas). So here's a hypothesis about the near future, based on little more than a hunch and some tantalizing examples: we're about to experience a revolution in collective action, and the driver of that revolution will be new legal structures that will support productive collective action. I don't know if that has happened, or if it is happening. Shirky pointed out that intellectual property was the main collective product at the time of his writing - things like Linux and Wikipedia, where licenses like the GPL protect the product. The only things I think of that are beyond software and writing are products that get kickstarted, for example, and I don't know if that counts. Restricting to financial structures seems unfortunate. But crowd-funding and anonymous currencies like BitCoin might be the closest thing to steps in this direction, as far as I can see. Meetup was in the book, and doesn't have any special legal structures for organizations as far as I know. What else am I missing?